UC Merced’s three schools—the School of Engineering, School of Natural Sciences and School of Social Sciences, Humanities and Arts—offer undergraduate and graduate degree programs resources and laboratories further enrich students’ educational experience. Adjacent to Lake Yosemite Park and just outside the city of Merced, UC Merced is continuing to develop in its convenient location at the center of California. Nestled between the Sierra Nevada range to the east and the Coast Ranges to the west, the over 800-acre campus is situated within a two-hour drive from San Francisco, the Pacific Ocean and Sacramento; less than two hours from Yosemite National Park and other Sierra Nevada destinations; and an hour from Fresno. Even closer to campus, the surrounding communities in Merced, Stanislaus and Mariposa Counties offer a unique selection of cultural, entertainment and recreational options for students to experience. Full development of the campus is anticipated within three or four decades when UC Merced will serve an estimated 25,000 students. UC Merced students have a once-in-a-lifetime chance to help create the student life experience for the students who will follow. You are invited to add to campus traditions, create new student organizations and activities, and offer your ideas on student services, planning priorities and university growth and development. As a student at UC Merced, you can gain valuable skills through internships and service learning, expand your cultural and international awareness and understanding, develop your leadership potential and make lifelong friends through involvement in a variety of academic, student and recreation programs. Student government, intercultural and residential programs, intramurals, club sports and athletic teams, university events and a variety of clubs and organizations are among your many choices. Students also have access to a wide array of support services as well as academic, social, recreational and wellness activities. Build the Future at UC Merced! The first phase of campus development includes five academic buildings, in addition to housing and dining complexes, and the Joseph E. Gallo Recreation and Wellness Center. At the heart of the campus, featuring a library collection that blends books and bytes, the Leo and Dottie Kolligian Library is home to campus student services and administrative offices. It also is a welcoming meeting place for individual study, small group work and encounters with your friends. The majority of your classrooms and lecture halls are located in the Classroom Building, adjacent to the Carol Tomlinson-Keasey Quad. The Classroom Building features the 377-seat Lakireddy Auditorium, and other programmed space including teaching laboratories, and faculty and graduate student offices. The three-story Science and Engineering Building accommodates teaching in both wet and dry research laboratories and computing laboratories. The Social Sciences and Management Building houses faculty offices, research labs, art classrooms and exhibition space and classrooms. The Student Services Building, which will open in two phases starting in fall 2013, will house classrooms, offices and some students services. Future buildings on the over 800 acre campus include a second Science and Engineering Building, scheduled to open in 2014, a Classroom and Academic Office Building and additional student housing. In the neighboring city of Merced, students will find a small, vibrant community. Currently home to more than 80,000 residents, the city retains the charm of a small town—with short commute times—and many of the amenities of a larger community. Many educational, cultural and co-curricular activities connect students with the city of Merced and the surrounding region, and students are encouraged to experience the warmth of UC Merced’s host community and discover its treasures. Wandering through the pedestrian-friendly downtown is a good place to start. Brick paved walking areas, alleys decorated with murals and Italian trellises, an award-winning multicultural arts center, a community playhouse, the newly restored Merced Theater, and several historically significant buildings are among the features. Merced also is home to shops, restaurants, farmers markets and retail stores, with additional choices available in the nearby cities of Modesto and Fresno. UC Merced’s history dates back to 1988, when the University of California Board of Regents first authorized planning for at least one additional campus based on projections of long-range enrollment demand. The Regents targeted the San Joaquin Valley as the region where the tenth University of California campus should be located. As one of the fastest-growing regions in the state, the Valley population was one of the most distant from the nine existing UC campuses. The Regents wanted to encourage more Valley students to attend the University and to extend the University’s role in contributing to the region. Locating UC Merced in the San Joaquin Valley has given the campus access to a rich natural laboratory for scientific and cultural research. UC Merced’s proximity to the Sierra Nevada has also led to creation of a special relationship for education and research with three crown jewels of the U.S. National Park Service: Kings Canyon, Sequoia and Yosemite National Parks. Established in 1868, fewer than 20 years after California became a state, the University of California opened with 10 faculty members offering classes to 40 students the following year in Oakland. By 1873, the first academic buildings were completed on the UC Berkeley campus and the University moved to its new home. Today, the University of California serves more than 228,000 students and includes approximately 190,000 faculty and staff members. Encompassing 10 campuses, five medical centers, five law schools and a Statewide Division of Agriculture and Natural Resources, the University also manages three national laboratories for the U.S. Department of Energy. The University has awarded more than 1.5 million degrees and has more than 1.2 million living alumni. A leading center for innovation for almost 150 years, the University of California has responded to the needs of California through research, education and public service, and has helped to transform the world. University of California faculty members and researchers are pioneers in fields as diverse as agriculture, biological sciences, engineering, the environment, the arts, economics, medicine and technology, and over 50 have garnered Nobel Prizes for their pioneering discoveries and advances of knowledge. Among the University’s current faculty are more members of the National Academy of Sciences than at any other university in the United States. The University also fuels the state and national economies through the creation of thousands of California jobs and billions of dollars in revenues, countless discoveries that improve our quality of life and research to support innovation in fields critical to the future of our country. Technology developed by the University powers many of the state’s top and emerging industries, and University of California faculty and alumni have founded or led such major companies as Chiron, Genentech, Intel Corp., Apple Inc. and Gap, Inc. A driving force in the daily life of Californians, the University is a critical source of civic leaders, social service programs and providers, and teachers at all levels of education. Teaching and research are strengthened within the University through an extensive network of laboratories, museums and galleries, UC Extension centers, and research and field stations, which provide valuable public service to the communities of California and the nation. The University of California further extends its resources to the public through its performing arts centers, athletic facilities and botanical gardens. With collections totaling more than 30 million volumes, the University’s libraries are yet another valuable public asset and are surpassed in size on the North American continent only by the Library of Congress collection. Beyond its tripartite mission of teaching, research and public service, the University is committed to expanding the educational horizons of California’s students and is engaged in a growing number of initiatives to bolster achievement in the state’s schools and better prepare students for college. UC Merced’s academic preparation efforts, led by our Center for Educational Partnerships, connect with K-12 students through mentoring, tutoring, college advising and other academic programs, while community college students benefit from services that help them prepare for transfer to the University. The University of California’s school partnerships offer curriculum development, direct instruction and community engagement, sophisticated data analysis of required student tests and additional assistance for many of California’s lowest performing schools. For teachers and administrators, the University of California provides professional development opportunities designed to improve skills and effectiveness. Overall, the University of California’s K-12 academic preparation initiatives directly affect hundreds of thousands of students and educators each year. For further information on UC Merced’s Center for Educational Partnerships, please visit cep.ucmerced.edu. The University of California system is governed by the 26-member Board of Regents, including 18 general members appointed by the Governor. Charged with setting general policy and making budgetary decisions for the University, the Regents also appoint the UC President, the 10 campus chancellors and other top administrators. Authority for University-wide academic matters is delegated to the Academic Senate, which is composed of faculty members and administrative officers from throughout the University of California system. For each campus, a division of the University of California Academic Senate guides academic policy. Students also have the opportunity to participate in policy-making at both the campus-wide and system-wide levels. For information about UC Merced’s Academic Senate, please visit senate.ucmerced.edu. For information on the University of California System, please visit www.universityofcalifornia.edu. Sustainable Sites – 100% of the campus storm water flows into on site retention ponds that treat building and site contaminants. Recycling and Regional Materials – Construction practices recycle and/or divert more than 90% of the job site waste from landfills, limit the distance that materials are transported to the site and incorporate recycled content materials and sustainable harvested wood products. Indoor Environment – Buildings are designed to provide increased ventilation and use natural daylight, creating a more pleasant working environment inside. Water Conservation – Water reduction in the buildings and landscape will lower the use of potable water up to 50% above minimum state standards by using fixtures that conserve wastewater, waterless urinals, drought-tolerant planting for landscaping and deep root tubes for trees, which direct water straight to the roots and eliminate excessive watering. Indoor Air Quality – Paints, carpets and composite woods with low volatile organic compounds have been selected as a means to reduce indoor contaminants that might irritate or harm the comfort and wellbeing of building occupants. Energy – Campus buildings are designed to energy performance targets that are significantly better (30-60%) than required by California law (Title 24) and than found at other University of California campuses. The campus also employs a centralized heating and cooling strategy that significantly improves efficiency and shifts the electricity used for cooling to nighttime hours. This minimizes UC Merced’s impact on the state energy infrastructure. Living Laboratory – UC Merced has installed an advanced building energy management and control system that allows centralized operation and monitoring of all building functions. This level of monitoring and control provides a unique opportunity to manage the campus efficiently and be a living laboratory for faculty and students to study and advance building energy science. The campus is exploring opportunities to integrate education, research, conservation and recreation uses to promote the sustainability of UC Merced Conservation Land & Biological Resources. UC Merced has made a commitment to campus recycling and currently uses a “single stream” recycling methodology. The Environmental Health & Safety Office coordinates the recycling of all electronic waste, light bulbs, batteries, and cell phones per state and federal law. Campus green waste is sent to the local landfill for mulching and reuse. Facilities Management and Dining Services continue to work cooperatively to address food related waste and a pre-consumer food composting program is in the planning stages. The university is committed to increasing its percentage of recycled materials that are diverted away from the county landfill. EPP considerations are incorporated into the qualitative analysis of competitive bids and contract awards. Campus furnishings, equipment, supplies and services are procured with a cradle-to cradle focus on environmentally preferable characteristics from raw material acquisition in manufacturing through the entire life cycle. Some examples of campus EPP results include: wood furniture from renewable forests, campus office seating up to 99% recyclable with 44% recycled content, Energy Star office equipment, computers, water coolers; laundry equipment among the highest rated in energy and water efficiency; copy paper with a minimum of 30% recycled content, library stacks and dorm room bed frames are recycled steel; and locally grown food and food containers composed of sugar cane. UC Merced received the “Best Practices Award” for “Buy Recycled – Sustainable Operations” at the 2006 UC/CSU Sustainability Conference hosted by UC Santa Barbara. UC Merced’s Long Range Development Plan (LRDP) creates a development framework (land uses, circulation, and open space) to plan, design, build and operate the UC Merced campus at ever-increasing levels of sustainability. The LRDP establishes goals and policies that mandate the use of broad-based, innovative sustainable techniques in facility and infrastructure design and construction. It includes integration with the research initiatives and innovations that are part of the overall campus research program, particularly in the area of solar power and building energy management systems. ZERO NET ENERGY: Through efficiency and renewable energy production. ZERO WASTE: Divert from landfill all campus waste by reducing excess consumption and recycling to the maximum extent feasible. ZERO CARBON FOOTPRINT: Produce zero net carbon emissions and prevent as much carbon emissions as it produces. Create a unique architectural identity for the campus by employing passive environmental system, such as shading, orientation and roof configuration, as design features on campus buildings; use of sustainable materials; and designing campus buildings to employ renewable energy production systems. Design campus landscaping to emphasize regional natives, avoid invasive or allergenic species, and select plants that are compatible with campus infrastructure, developing a palette of approved plant, ground cover and tree lists, as well as landscape design guidelines. Considering its location in the San Joaquin Valley, UC Merced has the opportunity to access many foods locally, avoiding the environmental impacts of long-distance shipping while promoting the local economy. Products that are fresh, locally grown and produced, and environmentally friendly will be included in the campus’ food offerings. Composting of food wastes will be explored as well. As the tenth campus of the University of California, UC Merced will achieve excellence in carrying out the University’s mission of teaching, research and service, benefiting society through discovering and transmitting new knowledge and functioning as an active repository of organized knowledge. As a key tenet in carrying out this mission, UC Merced promotes and celebrates the diversity of all members of its community. A research university is a community bound by learning, discovery and engagement. As the first American student-centered research university of the twenty-first century, UC Merced’s strong graduate and research programs will mesh with high quality undergraduate programs. New knowledge increasingly depends on links among the disciplines, working together on questions that transcend the traditional disciplines. UC Merced fosters and encourages cross-disciplinary inquiry and discovery. Interdisciplinary practice in research will nourish undergraduate learning, building a foundation to connect the ways that academic disciplines understand and grapple with society’s problems. Undergraduates will experience education inside and outside the classroom, applying what they learn through undergraduate research, service learning and leadership development. As apprentice scholars, graduate students will build their understanding of and ability to do independent research in their chosen field, as the groundwork for entering professional life. Lifelong learners will continue to hone their knowledge and workplace skills. The twenty-first century promises new ways of connecting people to new knowledge and to one another. UC Merced is a network, not simply a single place, linking its students, faculty and staff to the educational resources of the state, nation and world. The idea of network extends to UC Merced’s relationships with neighboring institutions: educational, cultural and social. Born as a member of the distinguished network known as the University of California, UC Merced seeks strong and mutually supportive relationships with a variety of collaborators in its region: public and private colleges and universities; federal and state organizations that share UC Merced’s educational and research goals; and cultural and social institutions. The idea of network will also be realized through the physical and intellectual integration between UC Merced and its surrounding community. The campus is planned as a model of physical sustainability for the twenty-first century, inviting all members of the campus and surrounding community to think and act as good stewards of the environment that they will convey to future generations. UC Merced celebrates its location in the San Joaquin Valley, reflecting the poetry of its landscape, history, resources and diverse cultures, while capitalizing on and expanding the Valley’s connections to the emerging global society. UC Merced recognizes that research that begins with the natural laboratory at home can extend what is known in the state, nation and world. The University of California, Merced is committed to serving the people of the San Joaquin Valley, California, the nation and the world through excellence in education, research and public service. We strive to provide educational opportunities for all. Our founding principles of community guide both the individual and collective behaviors of students, faculty and staff. The university expects that all of its members will emulate these fundamental principles as individuals and as a community. We celebrate the spirit of academic excellence and strive to promote our University and its strengths through our daily interactions with students, staff, faculty and the community at large. We maintain a working and learning environment based on integrity, fairness, cooperation, professionalism and respect. We are a community comprised of individuals with multiple cultures, lifestyles and beliefs. We celebrate this diversity for the breadth of ideas and perspectives it brings. We value the creativity of our students, staff and faculty, and acknowledge both their individual and collaborative achievements. We encourage health and wellness and strive to develop a sense of environmental responsibility and stewardship among all the members of our community. We are committed to achieving tolerance in our community. All persons – faculty, staff and students – regardless of background or lifestyle should participate and work together in a collegial atmosphere that we strive to make free of any and all acts of discrimination or harassment. We respect, support and value the civil and respectful expression of individual beliefs and opinions. Note: These are the Founding Principles of Community of the University of California, Merced. In the years ahead, they will undoubtedly be reviewed and modified by future UC Merced faculty, students and staff. College One is responsible for overseeing the general education experience at UC Merced. College One provides a network to connect undergraduate students with advising and coursework that meet the UC Merced faculty principles for a well-rounded education. Engineering combines scientific understanding with technical innovation to build things that determine our quality of life: new products and services, new technologies and methodologies, and new technological processes and industries. Engineering education at UC Merced provides students with the knowledge and know-how to solve societal problems and to become the technical leaders of tomorrow. The School of Engineering offers undergraduate majors in the fields of: Bioengineering, Computer Science and Engineering, Environmental Engineering, Materials Science and Engineering and Mechanical Engineering. The School of Natural Sciences encompasses fields of study that are devoted to understanding our physical and natural world: mathematics, biology, physics, chemistry and environmental sciences. Advances in these fields promise solutions to many of humankind’s most pressing problems, from fighting new diseases to creating sustainable energy sources. Students will gain a deep understanding of physical, chemical and biological processes. Natural Sciences currently offers five undergraduate majors: Applied Mathematical Sciences, Biological Sciences, Chemical Sciences, Earth Systems Science and Physics; five minors are available: Physics, Natural Sciences Education, Applied Mathematics, Chemical Sciences, and Environmental and Sustainability. The educational mission of the School of Social Sciences, Humanities and Arts is to create a rich learning environment for looking at human nature through the lenses of the many disciplines represented within the School as well as the disciplinary intersections where the interesting questions lie. Social Sciences, Humanities and Arts offers ten undergraduate majors— Anthropology, Cognitive Science, Economics, English, History, Management, Psychology, Political Science, Sociology and Spanish—as well as many minors and a History Honors Program. The UC Merced Division of Graduate Studies oversees masters and doctoral degree education. Society’s most intractable problems are broad based and multifaceted. Viable solutions to these problems require multidisciplinary approaches that can benefit the people of California and the world beyond. UC Merced is committed to offering graduate students an opportunity to work on many of society’s most pressing and important problems. UC Merced offers graduate programs and individually tailored graduate programs in a range of disciplines and areas. Each of these is highly interdisciplinary in approach and designed to facilitate interactions between faculty and students from a broad scope of traditional academic disciplines. Research at UC Merced is integral to the educational experience. As apprentice scholars, graduate students join faculty in the work of discovery of new knowledge. Faculty research enriches undergraduate education through the continual updating of courses and curriculum, and special opportunities such as freshman seminars and undergraduate research programs. Interdisciplinary faculty research is fostered through research organizations such as the Sierra Nevada Research Institute, UC Solar and the Health Sciences Research Institute. Not what research libraries are…what they will be. A research library for the 21st century, the University of California, Merced Library is not only a center for study, collaboration, and research on campus, but also a digital information portal providing researchers with online and physical access to one of the largest library collections in the world. The UC Merced Library, home to 102,000 physical books, is a multi-purpose building allowing for both quiet study and group work. Collaborative workrooms are found throughout the building and can be reserved online. The peaceful McFadden/Willis reading room is open for study and quiet reflection. Wireless and hard-wired computer network access is available in all Library spaces. The Library’s two dedicated rooms for library instruction regularly host classes in addition to workshops and seminars. UC Merced librarians take an active role in student learning and frequently collaborate with faculty to improve student information literacy. Students may also request one-on-one meetings with librarians for research help. The UC Merced Library website connects students, faculty, and staff with a highly dynamic collection of information resources, including online journals, books, and tools to help facilitate and streamline all areas of academic inquiry. Our diverse blend of physical and digital resources provides point-of-need information for researchers both on and off campus. Connection to the campus virtual private network (VPN) ensures easy access to library holdings, both in the physical building and from off-campus. Using the UC MELVYL catalog, members of UC Merced’s vibrant research community can request rapid delivery (often within 24 hours) of books and articles from any UC system library or from other libraries worldwide as part of our comprehensive inter-library loan service. The UC Library system houses over 36 million volumes. The UC Merced Library is also actively involved in creating digital access to materials of cultural significance and works with faculty to digitize, manage, and preserve resources used for teaching and research. The UC Merced Early Childhood Education Center (ECEC) serves the young children of the students, staff, and faculty of UC Merced and a number of community children in a high quality early care and education environment. The ECEC is an accredited program by the National Accreditation Commission for Early Care and Education Programs (NAC) which grants this status only after conducting an extensive review to ensure the program meets their high quality standards and requires annual follow-up reporting. The ECEC follows the campus calendar and is open year-round Monday-Friday from 7:30 a.m. to 5:30 p.m. The center serves infants (6 weeks – 17 months), toddlers (18-30 months) and preschoolers (31 months to Kindergarten entry). Part time schedules are available on a limited basis. For more information, including photographs of the facility, philosophy, waiting list information, center curriculum, tuition rates, assistance for low income UCM families and other local resources, please refer to the website (http://ecec.ucmerced.edu). If you are interested in a tour, please call the center (209) 228-5437 or email ecec@ucmerced.edu to schedule an appointment. The use of computers and networks has become pervasive in higher education. The UC Merced vision for information technology supports the campus commitment to deploying the best of current and emerging technologies and practices to help students make maximum use of information technology for academic purposes, administrative transactions and other activities. Students can reach virtually all applications and information, including e-mail, course software, registration materials and much more, via a single electronic ID and a customizable portal, MyUCMerced (my.ucmerced.edu). From applying to UC Merced and tracking the application process to registering for courses and ultimately seeing grades, students use the Internet. For courses in which they are enrolled, the MyUCMerced portal allows students to connect with a website for each course. UC Merced’s collaborative learning software puts students in touch with syllabi, course materials, library resources, assignments, grade books and course calendars; it lets students submit assignments and chat or send e-mail to other students and faculty in the course. The campus is laptop friendly, with wireless network access available in all campus buildings including classrooms, Library, common spaces, and residence halls. The Library also provides electrical outlets in carrels and other work areas. Students living on campus have 10/100 MB Ethernet connectivity to the campus network and secure access to the campus network is available for those living off campus. On campus, all residents have their own connection to the network with additional ports in the common rooms and wireless access in residences and the Yablokoff–Wallace Dining Commons. Additional residence service includes a drop-in computer lab and group laptop study area. All students are supported through online assistance and a Student Help Desk, open every weekday. An Open Access computer lab is available for drop-in use throughout the day, and several computer classrooms on campus permit drop-in use in between instructional class sessions. The Library is equipped with wireless and plug-in Ethernet ports for internal and Internet information access. In the classroom, students find a learning environment enriched by information technology. All rooms support projection of computer-based information, as well as video. Some rooms permit recording of lectures for streaming video on individual course websites. Videoconferencing rooms support real-time interaction with remote sites via audio and video. Because of the pervasive use of computer technology at UC Merced, it is strongly advised that students have their own personal computers, which should be capable of running typical Web and word processing applications. Students may find that their School has additional recommendations or requirements. Check the UC Merced website for more specific School information. The Recreation and Athletics Program provides a wide variety of sports and recreational activities ranging from aerobics and other group fitness classes to diverse intramural sports, sport clubs and comprehensive outdoor adventure trips. The Joseph Edward Gallo Recreation and Wellness Center and the new Student Activities and Athletics Center feature a full complement of fitness programing including cardiovascular machines, weights and drop-in recreational activities such as basketball and volleyball. The Recreation Program also provides structured recreational opportunities in a range of intramural sports. For those students who are looking for more competition, the Club Sports Program offers students the opportunity to be a part of club teams which compete against other colleges and universities. Our current list of competitive sport club teams includes Baseball, Softball, Men’s Lacrosse, Archery and Dance. Recreation and Athletics also offers a full range of group fitness classes for students. These classes range from group cycling and yoga, to cardio and core stability classes. There is a class to fit everyone’s interest and ability. In addition to group fitness classes, the Recreation Fitness Program also offers one-on-one personal training sessions along with “Ask the Trainer” sessions in the weight room to answer any fitness related question you may have. The Student Activities and Athletics Center is home to the Outdoor Center. The Outdoor Center is the hub of the Outdoor Experience Program (OEP). The OEP conducts trips for students, faculty and staff ranging from whitewater rafting and ocean kayaking, to backcountry backpacking in Yosemite and skiing and snowboarding in the Sierras. In addition to the OEP, the Outdoor Center has an extensive equipment rental program. From backpacking and camping gear to snowshoes! All are available to students, faculty and staff to rent at great prices! Located in the Joseph Edward Gallo Recreation & Wellness Center is the Wilderness Center. The Wilderness Center is staffed by UC Merced student Park Rangers who are affiliated with Yosemite National Park. The Wilderness Center is a great resource for Yosemite National Park information. Recreational opportunities are plentiful at UC Merced. Immediately adjacent to the campus, Lake Yosemite offers swimming, boating and other outdoor activities. The City of Merced has an extensive network of biking and running paths, as well as city parks including a zoo and children’s amusement area. Of course UC Merced’s proximity to Yosemite National Park makes it a popular destination for day trips, too! UC Merced competes in the Cal Pac Conference of the NAIA in Men’s and Women’s Cross Country, Men’s and Women’s Volleyball, Men’s and Women’s Basketball, and Men’s and Women’s Soccer. UC Merced is part of a vibrant community in the San Joaquin Valley and is located close to the city of Merced. The city has a population of over 80,000 and offers restaurants, parks, a weekly farmer’s market and an active multicultural arts center. In addition to the local cinemas, Playhouse Merced has a full calendar of live performances. A variety of speakers and shows make appearances in town and UC Merced works with faculty, staff and student clubs and organizations to add to those events. In addition, Modesto (45 minutes to the north of Merced), Fresno (one hour to the south of Merced) and the San Francisco Bay area (two hours to the west of Merced) have an abundance of museums, theaters, arts centers, and events. The San Joaquin Valley region is home to a variety of attractions such as the Lee Institute for Japanese Art in Hanford, Gallo Art Center in Modesto, Hilmar Cheese Factory, Castle Air Museum, and Mariposa Museum and History Center, with many other destinations to be found on the Merced Conference and Visitors Bureau website at www.yosemite-gateway.org/Attractions/yosemite.php. UC Merced is a place where our students have the desire and opportunity to create traditions and leave legacies that will carry forward for years to come. For students looking to get involved on campus, student involvement opportunities abound. On a weekly basis, activities and events are provided for students to enhance their out of the classroom experience. UC Merced activities and events range from concerts to carnivals, fashion shows to festivals, and include off campus adventures to places like San Francisco, Fresno, and Modesto for shopping sprees, cultural activities, and athletic events. The Office of Student Life also partners with faculty, staff, and students to organize large-scale campus events. Annual events such as Welcome Week, Family Weekend, Winter Ball, Cinco de Mayo Fiesta, New Student Success Conference, Asian Fest, Pride Week and the Gauntlet Games engage the entire UCM community. If planning events and bringing spirit to campus is your joy, then joining the Campus Activities Board (CAB) may be just what you’re looking for. The Campus Activities Board coordinates and sponsors exciting activities for UC Merced students and is a great way to get involved in campus life. UC Merced students have established UC Merced’s Associated Student Government (asucm.ucmerced.edu) as well as clubs and organizations that enrich campus life. These organizations create opportunities for students with common interests to help shape the direction of the newest UC campus, build friendships, and provide opportunities for social and academic networking. Over 160 clubs and organizations have been formed and fall into the following categories: cultural, special interest, community service, religious, academic/professional, wellness and art/music/dance. Sorority and Fraternity life is also under way at UC Merced. UCM students have established vibrant Greek letter organizations for the campus, furthering opportunities for student leadership and involvement. The UC Merced Campus Store is your first choice for textbooks, electronics and computer accessories, Bobcat apparel, school supplies and snacks. We are your on-campus resource for new or used textbooks! They can be purchased, and in many cases, rented, through our online reservation system or by coming by the Campus Store. By reserving your textbooks early, they will be delivered to campus, bundled together by our staff and marked with your name and ID for pickup in the Textbook Annex. This is your best chance at saving up to 25% off the new price, and you can save even more by renting. At the end of the semester, the bookstore buys back used textbooks for cash. As a college student, you are eligible for academic discounts on Apple Computers and software. We provide excellent service and support for your computer on campus, and we carry all of the necessary peripherals to assist in your academic success at UC Merced. Your purchases made at the Bobcat Campus Store help the University grow! Visit our website at bookstore.ucmerced.edu for more information. Leadership development is an exciting part of student life at UC Merced. Whether you are a new, emerging, or seasoned student leader, opportunities for learning and growth abound. With leadership options that include conferences, mentor programs, workshops, lectures, and participation in programs such as the Bobcat Leadership Series, and the Yosemite Leadership Program, there are learning and leadership opportunities for everyone. Involvement in civic engagement and community service is also a hallmark of student leadership at UC Merced. There are many opportunities for UCM students to volunteer, learn from and give back to the local community. Participation in events such as Merced County Project 10%, Kids Day, Relay For Life and California Coastal Cleanup provide students the opportunity to impact the Merced community by thinking globally and leading locally. UC Merced students represent a rich diversity of cultures. Through Social Justice and Women’s Program Initiatives, the UCM community is exposed to films, festivals, guest speakers and workshops that examine and celebrate the diversity of our world. Annual events like Pride Week, Women’s History Month, the Social Justice Film Series and the Clothesline Project, provide UCM students an opportunity to learn, share and celebrate the rich fabric of diversity and culture evident both on campus and beyond. For a list of registered clubs and organizations, or for more information on student life activities, visit the Student Life website at studentlife.ucmerced.edu or e-mail: studentlife@ucmerced.edu. UC Merced strives to create an environment that fosters individual growth, freedom of expression and a sense of community. The viability of this community depends on a common understanding among its members regarding their rights and responsibilities. The Student Handbook: Policies Applying to Campus Activities, Organizations and Students (studentlife.ucmerced.edu/what-we-do/student-judicial-affairs/resources) lays the foundation for that understanding and governs the conduct of all University of California, Merced students. It articulates the University’s expectations regarding standards of conduct—in both academic and non-academic settings. In addition, the campus’ Principles of Community, located toward the beginning of this catalog, further reinforce the expectations, obligations and privileges of participating as a member of the UC Merced community. Living on campus helps you to make lifelong friends and become an active part of our growing campus. Student and full-time residential life staff live on campus providing the resources, programs and services essential to a safe and comfortable living environment. Someone is on call to assist 24 hours a day. Housing is guaranteed for fall term to incoming freshmen and new transfer students who meet the contract submission deadlines. A second year guarantee is offered to those same freshmen who again meet their housing application deadline in their second consecutive year at UC Merced. The Sierra Terraces was designed to accommodate first-year students in this interactive community. Students living here enjoy two bedrooms that share a private bathroom. The Summits, home to first year and continuing students, was designed with several very large bedrooms sharing a bath. Transfer and continuing students will be assigned to UC Merced’s first residential community, the Valley Terraces. Valley Terraces offers apartment-style suites located in nine, two-story buildings. Each suite has two or three bedrooms attached to a furnished living room. Bedrooms in all our communities have a bed, desk, drawer and closet space for each resident. A limited number of singles also are available. Study, recreation, laundry, meeting rooms and mail facilities are located in both the Terrace Center and the Summits communities. All residence halls offer success workshops and events designed to build community with fellow residents and the campus at large. A variety of living options are available for students to live together around a common interest. These programs include the Academic Excellence, Fiat Lux, and Gender Inclusive programs. Find out more about your living options and how to apply at our housing website, housing.ucmerced.edu. Room and board rates are posted on the UC Merced website at housing.ucmerced.edu. All new, incoming freshmen students and transfer students are strongly encouraged to consider on-campus housing. Nothing compares to the convenience and experience of living on campus. Residents can select from one of the three required meal plans that include the base Residential Dollars meal plan and CAT dollars. Residential Dollars are used to enjoy meals at the Yablokoff-Wallace Dining Center and Cat Dollars may be used at any of our remote locations. The dining center offers a variety of healthy and satisfying cuisine options. If you are looking for a quick meal on the run, a light snack or a cup of coffee between classes, try the Lantern Café, located in the Kolligian library or The Summits Marketplace. All facilities are open to the public and commuter students are encouraged to purchase a commuter meal plan. Find out more about our great dining options at the dining center website, dining.ucmerced.edu. A variety of off-campus housing options are highlighted on the UC Merced Housing and Residence Life Office’s website, where information about local apartment complexes in addition to an active property search database, och.ucmerced.edu, are available. The site includes valuable information that students should review before deciding to live off-campus. Please go to our website at housing.ucmerced.edu or contact the Housing and Residence Life Office for more information about living off campus. For further information about housing, on- or off-campus, contact Housing and Residence Life at housing@ucmerced.edu or check our website at housing.ucmerced.edu. Connect students to resources such as medical providers, counselors, health educators, dietitians and peer organizations. The department offers programs for individuals, groups and the campus community that address nutrition, physical activity, body image, sexual health, substance use, depression, stress, relationships and sleep. The Health Center provides basic medical treatment and prevention services provided by board-certified physicians and certified nurse practitioners and physician assistants. Staff and peer health educators also provide information on alcohol, tobacco and other drugs, sexual health, stress management, nutrition, body image and smoking cessation. We encourage students to become active partners in promoting their own health and well-being. Services include: consultation with medical service providers for injury, illness, or chronic health conditions; laboratory testing; medications, immunizations and injections; and health and wellness education. Most core services are covered by student services and health fees and are provided at no cost. There may be a cost for some laboratory work, radiology, pharmaceutical medication and immunizations. All registered graduate and undergraduate students may use Health Services and Health Promotion even if they opt out of the Student Health Insurance Plan (UC SHIP). All services are confidential and offered to registered students. The H. Rajender Reddy Health Center houses Health Services, Health Promotion, and Counseling and Psychological Services in the Joseph Edward Gallo Recreation and Wellness Center. All registered graduate and undergraduate students attending the UC are required to have major medical health insurance as a non-academic condition of enrollment. Unless a student shows proof of prior insurance coverage and requests a waiver, the student is automatically enrolled in UC Merced’s Student Health Insurance Plan (UC SHIP) and billed through the student’s account. UC SHIP offers comprehensive and affordable health insurance. It supplements the Health Center’s medical services and provides for extended medical care, emergency services, hospitalization, specialty care and out-of area care while you are traveling. The program fee covers the cost of the UC Merced group insurance plan and program administration. A student who is covered by another health insurance may waive UC SHIP by demonstrating that the coverage is comparable to that provided under UC SHIP. The student must apply for a waiver of UC SHIP by the specified deadline. All registered students are eligible to utilize the campus health center even if UC SHIP is waived. For information on insurance, including the waiver process and deadline, refer to the Health Services web page at health.ucmerced.edu/insurance or contact insurance@ucmerced.edu. The California State Health & Safety Code mandates that all students entering the University of California who are under the age of 19 years old must be immunized against or provide proof of immunity from the Hepatitis B virus prior to enrollment. In addition to the Hepatitis B requirement, UC Merced requires that all entering students have received the MMR (measles, mumps and rubella) vaccine. Students must provide Health Services with documentation demonstrating compliance with these immunization requirements prior to registration. Menactra vaccine (for meningitis). Recommended for high risk students and as a consideration for all college students. Tetanus (Td). Booster at age 11-12 years old and every 10 years. Varicella (chickenpox). Two doses one month apart for those who never had chickenpox or if a blood test does not show immunity. For information regarding immunizations, visit the H. Rajender Reddy Health Center, call 209 CAT-CARE (209-228-2273) or review information at health.ucmerced.edu. UC Merced’s Counseling and Psychological Services (CAPS) promotes the academic and personal success of all students at UC Merced. CAPS has a diverse staff of doctoral-level, licensed psychologists and supervised doctoral-level interns who have experience working with college students. Staff members reflect the diversity that is found on the UC Merced campus and strive to meet the needs of the campus community. 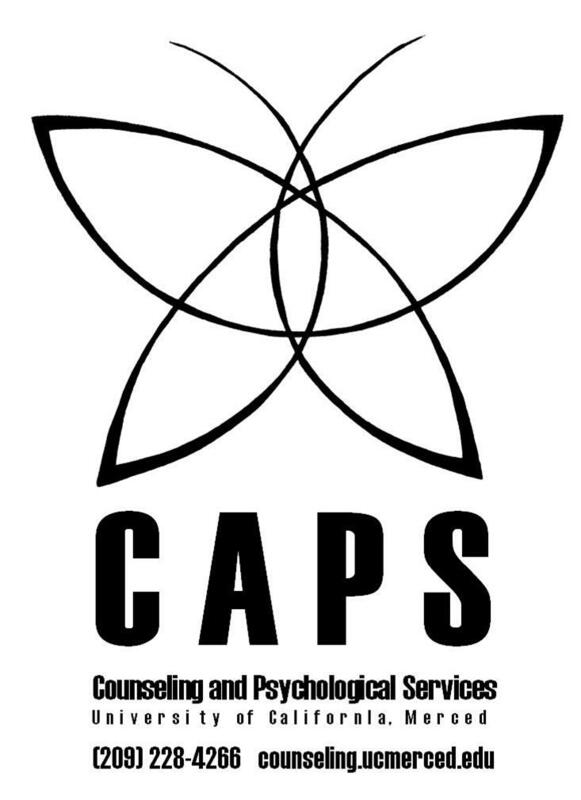 All registered UC Merced students (undergraduate and graduate) may access CAPS services, which include confidential psychological assessment, group therapy, walk-in crisis counseling, and short-term individual counseling. In addition, CAPS staff conduct outreach presentations across campus throughout the academic year on topics such as developing effective coping skills, eating disorders, and partner/relational violence. Individual consultation is available to UC Merced students, faculty and staff who have concerns about a UC Merced student. Counseling and Psychological Services is located in the Joseph E Gallo Recreation and Wellness Center. To make an appointment call (209) 228-4266 or email counseling@ucmerced.edu. What do you want to do with the rest of your life? At the UC Merced Center for Career and Professional Advancement, we provide programs, professional expertise, assessments, and other resources to help you answer this question. We offer individual appointments with our staff, unique workshops to get you where you want to be professionally, full-time, on-campus, and volunteer opportunities, and visits with off-campus employers. Past events have included the Conversations with Entrepreneurs Speaker Series, panels on graduate school and professional opportunities, and a Hack-a-Thon to develop technical skills for real-world settings. Our staff is committed to the success of every Bobcat. The Center also assists students interested in pursuing graduate or professional school and can assist with program selection and personal statement review. To schedule an appointment with one of the Center for Career and Professional Advancement staff, please contact us at careerservices@ucmerced.edu or stop by KL 127 Monday to Friday 8a to 5p. From assisting with website creation to organizing large events to training and mentoring fellow students, UC Merced offers hundreds of on-campus employment opportunities. Whether it is assisting with cutting-edge research or being an orientation leader, student employment allows for the development of professional and social skills while earning money to help fund school expenses. The Center for Career and Professional Advancement coordinates the posting of these positions, which include Federal Work-Study positions. All jobs postings can be found online through the Center for Career and Professional Advancement website. Gaining professional experience as a student is one of the best ways to understand what you want after graduation. Our internship programs provide students with the opportunity to obtain career-related work experience in local, regional and national, profit and nonprofit organizations. Students may complete internships, some of which may be paid, during the academic year or summer. Past internships have included opportunities in high-tech, non-profit, media, consumer products, and research centers. For more information, contact the Center for Career and Professional Advancement at careerservices@ucmerced.edu. Immersion in the State Capitol while earning academic credit and learning about public policy or journalism is just what the UC Center Sacramento program offers. The program includes rigorous coursework as well as professional experiences while living, interning and conducting research in the State Capitol. Offered during academic and summer terms, students enroll in classes while working 24-40 hours per week in internship placements. For more information, please visit uccs.ucdavis.edu or e-mail careerservices@ucmerced.edu. What is the Students First Center? The Students First Center (SFC) is UC Merced’s one stop shop for enrollment services. Students, staff, faculty and guests can contact the SFC for assistance with Admissions, Financial Aid, and Registrar related services. SFC staff are cross trained in all areas of enrollment services and work closely with various departments across campus to provide appropriate referrals when necessary. How Can I Access Students First Center Services? You can reach the SFC by phone at (209) 228-7178 (CATS-1ST), by email at studentsfirst@ucmerced.edu, in person in Kolligian Library 122, or at our website studentsfirst.ucmerced.edu. Voicemail and email are responded to within 24 - 48 hours (unless it is a weekend or the campus is closed). For your convenience the SFC website is your virtual one stop shop and provides access to our chat service. Some of the topics featured on the SFC website include: important announcements, upcoming dates and deadlines, FAQs for some of your more complex inquiries and links to our social media accounts. Students come first at UC Merced and at the SFC. Stop by and see how easy it can be to get the assistance you need! The Disability Services Office, located in the Kolligian Library, Suite 107, supports students with disabilities by providing them with opportunities to participate fully in the academic community at UC Merced. Students with varying types of disabilities, including (but not limited to) those with mobility, visual, hearing, learning, psychological and other medical conditions may be eligible for the provision of reasonable disability accommodations through this program. Students must take the initiative and contact Disability Services (DS) for a student intake appointment to begin the DS registration process. It also is recommended that students be prepared to provide documentation of disability in support of their request for DS accommodation services. Guidelines for documentation can be found on the UC Merced website under Disability Services. Documentation provided to the office is confidential and is used solely for purposes of determining the student’s eligibility and the appropriate accommodations to be made. It is the responsibility of the student to provide this documentation and, if necessary, to pay for the cost of the documentation provided, including the cost for professional assessments for disabilities. Academic accommodations are developed with the student and Disability Services as part of the interactive services planning process. Accommodation ensures that students have a fair and equal access to the academic learning environment. Accommodations are individualized and are determined on a case by case basis, based on the specific individual needs and recommendations included in each student’s documentation. An appropriate accommodation does not provide an unfair advantage, but rather minimizes the barriers caused by the disability. The most common types of accommodation services accessed by eligible students with disabilities may be one or a combination of alternative media services, communication services, mobility services, note taking services, proctoring and/or priority registration. The provision or use of a disability accommodation does not guarantee or ensure a certain level of academic achievement for the students. Students with disabilities must meet the same standards as all other students. Depending on the type of academic accommodation requested by the student, the approval of the appropriate School Dean may be required. Students with disabilities who need alternative media services, sign-language interpreting or CART should contact the Disability Services Office as soon as possible to make necessary arrangements for these services. It is the student’s responsibility to see that such notification occurs in a timely fashion. For further information, contact Disability Services by phone at (209) 228-6996, email: disabiltyservices@ucmerced.edu, TTY: (209) 228-TTY0 (8890) and/or fax: (209) 228-4542. UC Merced faculty and staff are committed to the academic success of every student. The Calvin E. Bright Success Center, located in Kolligian Library 222, is responsible for advising students who are undecided about their majors and any student who has questions about degree or University requirements. The advisors in the Schools and the Bright Success Center (BSC) work closely with the academic programs to ensure that students receive accurate and timely advising. The Bright Success Center also assists students to acquire the skills they need to develop intellectually, become successful learners and achieve their academic goals, through workshops on many topics relevant to college learning and self-management. The Peer Academic Advisors work in collaboration with Residence Life and many other support services to help students make the best use of the resources on campus that promote their success. The Center’s diverse staff members offer programs focusing on effective study skills, critical reading, and analytical writing that help all students, regardless of major. Group tutoring and study sessions, led by peer tutors, are available through the BSC free of charge to provide assistance to students of all levels of ability and preparation. Additional programs and workshops also help students adapt to the demands of college. It is common for college students to find that they need to explore new methods for reading, note-taking, time management and other skills in order to meet the demands and pace of college learning. The Bright Success Center, working closely with Career Services, Counseling and Psychological Services, Residence Life and many other areas, ensures that students receive the support they need to plan and succeed in their chosen course of study and beyond. Students with advanced skills in science, math or writing should speak to their professors or staff at the Center to find out how to become a trained, paid tutor on campus. The BSC is headquarters for New Student Orientation, and this includes an orientation program offered to parents and family members of new students, as well. The Center also produces the Partners in Success parents’ and families’ newsletter each semester. Student Success is made possible by a combined, unified effort on the part of all who play a role in influencing students’ lives, and therefore the BSC makes constant efforts to collaborate with as many constituencies as possible in promoting an effective learning environment. The BSC also provides guidance to academically elite students interested in participating in prestigious academic competitions, and is headquarters for the Fiat Lux Scholars’ Program. This program provides intrusive advising, highly personalized, holistic support, and special workshops, opportunities and events, including a living-learning community option, for students from a wide array of underrepresented backgrounds. Visit our website at learning.ucmerced.edu to learn more about all of our programs. The UC Merced Veteran Services staff acts as a liaison between students and the United States Department of Veterans Affairs. This includes providing educational certifications for veterans, reservists, active duty military and dependents of veterans. UC Merced accepts the California Department of Veterans Affairs College Fee-Waiver Program, which benefits the spouse and children of U.S. Veterans. Students meeting the eligibility criteria may have their Tuition and Student Services Fees waived. The students are still responsible for Campus Based Fees, which are not covered by the waiver. The UC Merced Veteran Services Office also certifies veteran students and their dependents for other veteran benefits that include the Montgomery GI bill, Vocational Rehabilitation, Post 9/11 GI Bill, Selected Reserves, and Dependents’ Educational Assistance Program. More information on documentation required to initiate veteran benefits for each of these benefits may be found at the UC Merced Veteran Services website located at veteranservices.ucmerced.edu. Credit evluation for UC Merced Veteran students include inquiring about each veteran’s previous education and training, and requests from all prior institutions, including military training, traditional college coursework, and vocational training. Previous transcripts will be evaluated and credit will be granted, as appropriate. The veteran will see the credit reflected on his/her degree audit (MyAudit). Students who are veterans or dependents of veterans should contact the UC Merced Veteran Services staff if they have any questions or as soon as they receive notification of admission to UC Merced. Veterans Services is located in the Students First Center in Kolligian Library 122. An appointment may be arranged by calling (209) 228-2734 or by e-mail at veteranservices@ucmerced.edu. The Office of International Affairs (OIA) supports UC Merced’s vision of becoming a leading international institution. Through the International Center, visa services and study abroad exchange, OIA aims to assist students and scholars as they engage in global higher education and research. OIA is comprised of three programmatic areas: visa support services; study abroad services; global initiatives and the International Center. For more information about OIA please view international.ucmerced.edu. The University of California Education Abroad Program (UCEAP) offers international study programs in cooperation with about 130 programs in 35 countries. Participating students remain registered at UC Merced while studying abroad and receive full academic credit for their work. Students in every discipline are encouraged to consider fulfilling a portion of their degree requirements abroad, as every career path intersects with global issues. Transfer students may also begin the application process before enrolling in UC courses to participate during their second term at UC Merced. UCEAP opportunities are also open to qualified graduate students who have completed at least one full year of graduate work and have the support of their faculty advisor and graduate dean. A detailed statement of the projected program of study is required. The cost of studying on UCEAP is comparable to the cost of studying at UC Merced. In some cases, EAP may cost less. Students who qualify for UC financial aid continue to receive grants, loans, and scholarships while abroad. Aid is based on the cost of studying at each EAP location and on individual need. Budgets include the cost of airfare for the purpose of program participation. Students who do not currently receive UC financial support may qualify for financial aid while on EAP. Additionally, UCEAP provides support through various scholarships and grants. Please visit studyabroad.ucmerced.edu to learn about UCEAP and IOP study abroad opportunities, and contact study abroad staff in the International Center KL 101 or at (209) 228-4722 to find out about the application process. Applications may be due as early as 10 months in advance of the program, but students are encouraged to visit the Office of International Affairs and their academic advisor(s) even earlier to begin planning for study abroad. UC Merced enjoys a diverse international community on campus with international students, researchers, and professors who represent more than 60 nations. We sponsor non-immigrant visas in the areas of F-1 for the purpose of study, J-1 visas for the purposes of study, research, and academic employment, and H-1B visas for faculty employment. International transfer students already enrolled in a university or school program within the United States should contact the ISS Office as soon as they’re admitted to UC Merced to discuss their visa options. These students may be eligible for a transfer of their visa status or application for a change of visa status that will permit their enrollment in a UC Merced degree program. UC Merced offers a campus-based shuttle service called CatTracks, which provides transportation services to retail, entertainment and various apartment complexes in the local community. In addition, we offer a shuttle service called NiteCat, which provides safe rides to and from local entertainment centers between the hours of 10:00 p.m. and 2:40 a.m. on Friday and Saturday nights while school is in session. You may view our current bus schedules and find information regarding alternative transportation by visiting UCM Transportation and Parking Services website at taps.ucmerced.edu and selecting the CatTracks option. Bicycles are welcomed and encouraged at UC Merced. With a flat terrain and mild climate, the city and county of Merced offer excellent conditions for bicycle riding. In addition, the city of Merced boasts over 12 miles of class one, grade-separated bike paths, which, along with the city’s other bike lanes connect to most of Merced’s open space park system. Special areas have been set aside near UC Merced’s academic buildings for bicycle parking. Please do not bring bicycles into buildings or secure them to anything but a bike rack. If you plan to bring your bicycle to campus, you are encouraged to register it. The process is quick and simple, and the cost is $5.00 for a three-year license. Bicycles may be registered using E-Pay in coordination with UC Merced Department of Public Safety business hours. Parking, while limited, is available on campus. All vehicles parking in designated parking lots on campus must display a valid UC Merced parking permit at all times. Specific parking lots are reserved for students living on campus as well as for students commuting to campus. Resident students will have the opportunity to apply for a parking permit on a first come, first serve basis. Commuter students are encouraged to purchase parking permits online at epay.ucmerced.edu. Carpool permits are available to those students who have two or more people in the vehicle driving to campus at least three days a week. Information on permits, fees, application deadlines and parking regulations can be obtained from the TAPS website at taps.ucmerced.edu. Please be sure to read parking regulations before parking on campus. Enforcement hours are currently under review by the Transportation and Parking Services Advisory Committee for the 2013-2014 academic year. Please check the TAPS website for up to date information. The right to inspect and review their own student records within 45 days of the date the University receives a written request for access. Students should submit their requests in writing to the University registrar, dean, or other appropriate campus official for the office having custody of the requested records. The request must identify the record(s) they wish to inspect and review. The campus official will make arrangements for access and notify the student of the time and place where the records may be inspected. If the records are not maintained by the official receiving the request, that official shall advise the student of the correct official and redirect the request. The right to request the amendment of their own student records if a student believes the records are inaccurate or misleading. Students should submit a written request to amend a record that they believe is inaccurate or misleading to the campus official responsible for the record, clearly identifying the portion of the record they want changed, and specifying why it is believed to be inaccurate or misleading. If the University determines that the record should not be amended as requested by the student, the University will notify the student of the decision and advise him/her of the right to a hearing regarding the request for amendment. Additional information regarding the hearing procedures will be provided to the student when notified of the right to a hearing. The right to consent to disclosures of personally identifiable information contained in their student records, except to the extent that law and policy authorize disclosure without consent. (d) specifically related to providing a service or benefit associated with a student or student’s family, such as health care, counseling, job placement or financial aid. Another exception permitting disclosure without consent is Directory (or public) Information, defined as information contained in a student record that would not generally be considered harmful or an invasion of privacy if disclosed, unless the student has notified the Office of the Registrar that such information is to be treated as confidential with respect to him/herself. UC Merced has designated as public the following categories of information regarding students, which may be released to those requesting it: the student’s name, local address(es) and telephone number(s); UC Merced e-mail address; major field of study; dates of attendance; enrollment status (full-time, part-time); degrees and awards received; participation in officially recognized activities; and photographs. Parental/guardian information is confidential. It is used by the University only for notification of events, ceremonies, awards and development or in case of an emergency involving the student. The right to file a complaint with the U.S. Department of Education concerning alleged failures by UC Merced to comply with the requirements of the Federal Educational Rights and Privacy Act, addressed to the Family Policy Compliance Office, U.S. Department of Education, 400 Maryland Avenue, SW., Washington, D.C. 20202-4605. Questions about these rights should be referred to the Registrar at UC Merced. Students who desire to withhold all information (including address, phone number and UC Merced e-mail address) from the category of public information must file a form in the Office of the Registrar by the tenth day of instruction. If a student does not choose this option, this information may be released and the student’s local address, phone number and UC Merced e-mail address will be included in the campus student directory. Students availing themselves of this right should understand what the consequences of such action might be. For example, if all information is designated nonpublic information, the campus cannot make public any Honors received by the student and cannot include the student’s name and degree earned in the campus commencement program without the student’s written consent. Similarly, if all information is designated non-public information, the student’s status as a student or any degrees earned cannot be verified for potential employers without the student’s written consent. A student’s Social Security number is used to verify personal identity in the UC Merced student records system. Disclosure of Social Security number is mandatory. In compliance with state law, Social Security numbers are confidential and are not used as student identifiers.